Microsoft wants businesses to adopt the Surface lineup, and it’s adding new incentives to its enterprise program to make the hybrid devices even more appealing. At its Worldwide Partner Conference in Toronto yesterday, Microsoft continued its unrelenting quest to become the enterprise hybrid standard, announcing new partnerships and programs under its Surface Enterprise Initiative, which was introduced shortly after the Surface Pro 4 was originally released last fall. 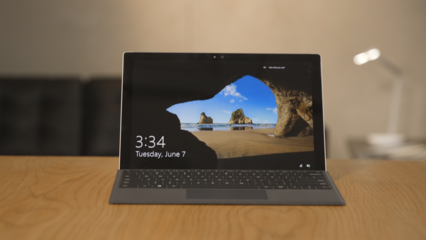 It's no surprise that Microsoft plans to further incentivize businesses that choose the Surface lineup, especially considering past efforts seem to have worked in the company's favor. Microsoft posted $1.1 billion in revenue last quarter from the Surface Pro 4 and Surface Book alone, with a 56 percent year-over-year increase. Today, Microsoft's Surface Enterprise Initiative has expanded to include what the company calls, "Surface as a Service." This initiative extends the enterprise program to better involve Cloud Solution Providers who are also Surface Authorized Distributors. These resellers now have the option to offer Surface hardware alongside managed cloud services and subscriptions to other Microsoft services, such as Windows 10 and Office 365. 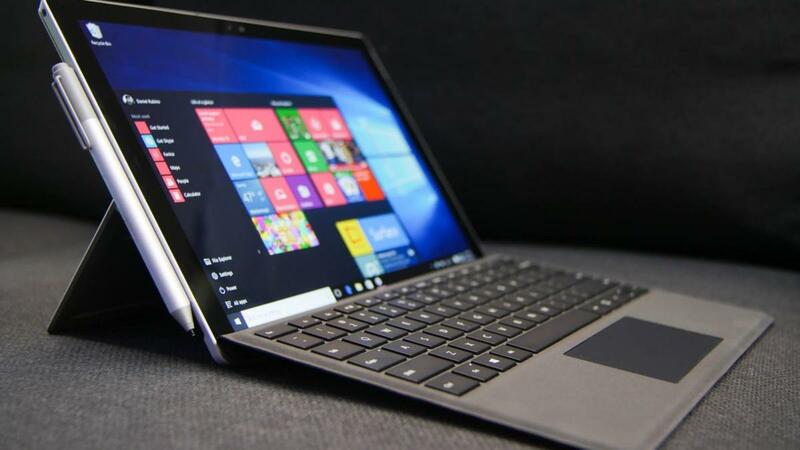 Microsoft hopes that "Surface as a Service" will make it easier to upgrade to the latest devices so that IT departments can be assured everyone is working from the same up-to-date hardware and software. The company also hopes this initiative will bring more flexibility to purchasing options, so businesses have an easier time transitioning their workforce over to Surface devices. The company launched this program with ALSO, a leading CSP out of Europe, with plans to expand the program with partners all around the world. Microsoft also announced partnerships with IBM and Booz Allen Hamilton, under the umbrella of the Surface Enterprise Initiative, to deliver industry-specific services using the Surface devices. IBM plans to use this partnership for packaged consumer goods as well as to create solutions for financial services and retail companies. Booz Allen Hamilton plans to create services for the government, healthcare industry and public sector using the Surface devices. These new partnerships come after reported success with Dell, the company's first partner under the Surface Enterprise Initiative. "Since then, our customers and partners have told us they need help creating tailored solutions that digitize workflow across core business process," said Yusuf Mehdi, corporate vice president of Microsoft Windows & Devices Group, in a press release yesterday. Microsoft also announced a new Surface Multi-National Purchasing Program, with four new authorized dealers including CDW, Insight, SHI and Zones. These companies will provide service to multi-national customers, so that they can maintain consistency across the company. It will also help businesses navigate the logistics around deploying hybrid devices across a company that is multi-national, especially when standards and compliance laws may vary country to country.